I am truly sorry to all of you!! I closed my blog down so I can change the layout. I kept on changing it and none of it looks good. And even though they did, I kinda mess it up -.- so it took longer then I had expected. I was suppose to be back yesterday the 29th but since it was mess up, I didn't think I'll be back today the 30th. I thought it'll be longer then that. I think this layout is alright =\. The header is alright but I want the one that I made. I couldn't put it up.. it didn't work -.- I might change a new layout, or I might close it again and tried to work on the header. I will tried to put up the header, but I don't know when I'll close it again. I decided it to leave it now, cause I don't want you guys to wait anymore. I know that many of you have tags to replied back to me but my blog was close down and I need to replied to your tags too. I'm sorry! Grrr.. I spend so much time finding a new layout and mess it up each time. Season of Fate and My Better Half and also Cupid Stupid post will be up this week! Oh and btw the banner I made was featuring Selena Li. I can't believe I forgot this! Maggie Cheung Hor Yee, was one of my old time favorite actress. My idol before Bernice Liu came along. I grew up watching TVB series and all I know is Maggie Cheung and all the old time Dong Ka Fa Dans. Like Jessica Hsuan, Kenix Kwok, Flora Chan, Esther Kwan, Ada Choi, Melissa Ng, Maggie Cheung, etc.. But as a child, I never gave interest in TVB. I would just watch them when ever my family watch any series. But by 2006, I grew to love TVB and Bernice Liu became my idol. I was around 13/14 then. But anyways, I just can't believe I forgot this. I knew it, I was missing something when I was putting up the March Babies birthday post. 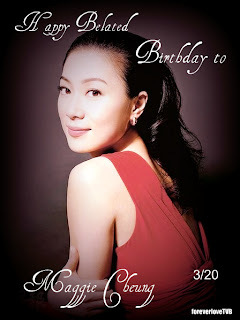 Maggie Cheung birthday was on March, 20th!! Happy Belated Birthday Maggie. I hope you had a good one!! Well anyways, little thoughts on each series. *Warning* Below will contain Spoilers. If you do not want to get spoiled, I advice you to stop right here and do not continue. If you wish to read it, please proceed and enjoy reading it. ~I had warn you that below contain spoilers~ Read at your own risk. Cupid Stupid - I'm actually still on Episode 4..hehehe xD. The series started out with Michael Tse and Tavia Yeung. Well first it was that the workers in the mall had just install a machine. The Machine was like a Princess fortune telling machine. One of the lead we are introduce to is Goon Sing Ho, Jeff (Michael Tse). He put in a coin and out came a paper that said "Today you'll meet the most important person in your life". After that Jeff left. A little while later, we are introduce to our female lead (Tavia Yeung). She saw the machine and went to put in a coin. The Paper that came out and read the same thing. After wards, Tavia left and we are then introduce to our lead Chi Yat Po (Steven Ma). Tavia and Steven were bickering in the street and cause a crowd. The crowd told her not to get in to the car, but then it turn out that Tavia and Steven knew each other. They were child hood friends. It all goes along well, Tavia and Steven met Michael. They hang out a couple times. Michael and Tavia's paper got mix up. One night Tavia was reading the paper again and thought about the people she met that day. It couldn't be Michael cause he already had a girl friend and she kept thinking and it hit her, its Steven. The next day she woke up with pimples and realize that she does start to like Steven. But will they actually end up together? Will Stevia be together or is it going to be Michael and Tavia? Well I read the spoiler for the whole series, after what I read I really do not want to watch it anymore, but I really want to watch Stevia. I waited for this series to come out just for Stevia. And what do we get? The Beauty of the Game I'm not going to continue. Its not that I don't like it, its just something made me do not want to continue it and I don't feel like watching it anymore. It feel like its an easy skip for me and its not going to be a big deal. I actually don't really like the cast in general. Well Wong Cho Lam made me laugh all the time. Mimi Lo is alright, I like her and Sharon Chan. I wanted to watch this for Christine Ng but I don't have that power to continue the series. This series is something fresh. Watching a series and seeing how acting are done and watching the entertainment industry, how it revolves everyday. But I seriously think that TVB exaggerate it way too much. The whole series is really exaggerate, not a little but a lot. I know that the entertainment industry is not anything easy. There will be many jealousy and hatred to rise to the top. And its really complicated. But the series had gone over broad with exaggeration. I might end up watching it again, not sure yet though. I really like how Kate's style look all the way in the beginning when she was introduce. With her glasses and her hair straighten down. She look really nice. Sharon is amazing with her two side personality. My Better Half - I finish with it but I'm going to re-watch it before I write the review. Yes I love the cast and the comedy. And especially Maggie Cheung. I was so surprise the series was at peak with 32 points. Each artistes has their own face expressions and comedy. The storyline is a bit shaky and there is no plot, but I really did enjoy watching this. We were first introduce with the both Michael Miu and Tse at work with shooting a video. Ching Sum (Michael M.) phone started to go off and everyone laughs at his ring-tone. Everyone knew how his wife Lai Sum (Maggie Cheung) is and do not want to get on her bad side. We found out the reason why Lai Sum was upset on their second day of marriage and for seven years. Later on in the series, Lai Sum got pregnant but got a miscarriage while Ching Sum mother (Suet Nei) is in the hospital. Suet Nei dream was just to see her grandchild before she actually has to go. Lai Sum couldn't stand it anymore and want to tell her mother in law the truth with her miscarriage. While she was about to say it, Ching Sum got really mad and upset. He yelled and push his wife away to prevent from saying it. I felt really bad, even though Ching Sum is filial to his mom, he shouldn't had treated his wife that way. Even with the stuff he said to her. Ching Sum didn't say it directly to her but he said it while she is sitting next to him and obviously he is talking to his wife. It gave Maggie too much stress and burden. She didn't blame her husband at first but she couldn't take it anymore and they had a fight. The fight wasn't big and they said sorry to each other and back together as sweet as before. On the other hand Michael Tse and Teresa Lee finally got together and wanted to quickly give birth. But Michael had too many girlfriend and "did too much", the chance for him to get a baby was low so they couldn't get baby. But luckily Teresa can still give birth, so she lent her stomach to Maggie and Michael Miu. 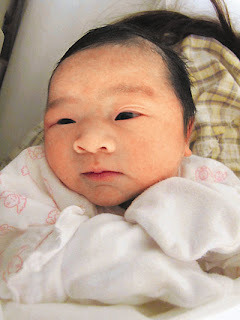 The baby contains only Ching Sum and Lai Sum's genes. At first when she said it, everyone was like wth?? Lai Sum was like I..I.. can't lent you my husband, the bed can only fit two people. Michael Tse was like no, that's my brother and that's my sister in-law. This mean that you are going behind my sister in law back. I thought of that too... but nope it was just letting them to use Teresa's stomach to get a baby. Ever since the miscarriage, Maggie's body is too weak to have another child so she'll have to wait for two years to give birth again. Many of the scenes and lines were predictable and adding Jamie Chik at the end was alright. She didn't need to be there but the scene was funny. Adding some comedy in. I loved Jamie's expression. It was amazing. The series is kind of a joke but not disappointing. I really enjoyed it and I would recommend it. This is my little review of the series. Season of Fate review will be up soon. I know March is almost over and I am putting this up now. Sorry, I was busy like I said before on my other post. I couldn't find much information of Sharon, therefore this post would not be (that) long, like my other Artist's of the Month posts. Next month, I'll have the poll up again for all of you to vote for the April's artists of the month. But I get the final say =P but don't worry, it'll be satisfying. Sharon Chan born on January 17th, 1979 and is TVB's Fa Dan. Sharon is currently 31 and her favorite cartoon character is Winnie The Pooh.. hahaha.. just like me xD. Sharon started out in 1994 as a model and still a model today. Well maybe not a full time model, but still poses for pictures and doing walks/shows just like other artistes. How did Sharon became TVB's Fa Dan today? Many artistes took the path to participate in Miss Hong Kong or graduated from TVB's acting class. Unlike other artistes, Sharon did not participate in any of those things. But I'm pretty sure if Sharon participated in Miss Hong Kong, she definitely will make it in to the top 3! Before Sharon was an actress, Sharon was actually a model started in the year of 1994, but during her modeling career, acting career was suggested to her. So Sharon took up the challenge and became an actress. Slowly rising and became TVB's Fa Dan. But Sharon dreamed/really wanted to become a singer during her career as a model. But instead of becoming a singer she became an actress. Sharon had filmed many series and was nominated almost every year. I can see the potential in Sharon, she really deserve to win an award but was unlucky every year. I hope this year, she can finally bring something home! Each time I see Sharon in a series, I can see that she improved a lot. Sharon really have the potential to lead a series and yup she finally got her chance to lead in The Beauty of The Game along side with Christine Ng and Kate Tsui. Sharon was mostly nominated for Most Improved Actress and Best Supporting Actress. But in 2007 Sharon was nominated for both Best Actress (top 20) and Most Improved Actress. For her roles in Devil Disciples and World Twisters Adventures. Most of her nominations are in the rank of top 10 and top 5. Sharon really have the potential. Most of the time I see Sharon as an host. Sharon is dedicated to her work and tried her very best to become what she is today. Most series I see Sharon in, she is mostly bipolar. She has two faces/sides, and I like that. She can portray the very nice side and the very mean side really well. I'm bias myself too.. cause I only like certain artistes that can portray the evilness and doesn't get disappointed and doesn't hate the character. Having and wanting the dream of becoming a singer but didn't get that faith. Sharon didn't give up and worked her best into acting. Even though she didn't get the chance to become a singer, Sharon did sang songs for TVB's Themes. So far I had heard two songs from Sharon and her voice is quite nice. But I really don't like the idea how many actresses are going into the music industry, so I rather have Sharon to continue her acting career and don't get into the music industry. But if Sharon one day really wants too, I'll support her. One of her song is called Love Steps (逐格重播), the theme song for At Home With Love and also in the 'Lady in Red CD'. The other song she sang was one of The Glittering Days sub theme, called The Circle Game. Nevertheless, Sharon really do have the potential in acting. Hoping one day I can see her acting as the First Lead in a series and hearing more TVB Themes songs from her. Sharon has a stunning body, beautiful face and a very pretty smile. Really does fit for being a model. But her sweet personality and a sweet smile also made it perfect to becoming an actress. Every pictures I see, Sharon really stands out. Sharon is photogenic, she would really bring an award home if she participated in MHK. Sharon is gorgeous, another beauty in TVB. I have faith in her and definitely will support Sharon! Keep up the great work and definitely she'll be leading very soon. TVB is promoting her these recent year, with quite a lot of her series released and going to be release. Sharon was really lucky to be placed in Born Rich. She can really steal some acting tips from Veterans and past TVB's Fa Dans, like Anita Yeun, Kenix Kwok, and Jamie Chik. All I have to say now is keep it up and I'll always support you!! 25 year old Suki Tsui gave birth to a 7lb baby girl yesterday, mother and baby are well. The baby was born a week early. Suki named her daughter "Vianna". Suki has originally booked to have her baby delivered by Cesarean Section next week, but the baby couldn't wait to come to the world. Kenny took Suki to Hong Kong Sanatorium and Hospital straight away when Suki started her labor. He proudly announced to the media at 8:30pm last night saying "My wife started labor at about 2:00pm, the doctor suggested she has better admitted into hospital. At 8:00pm, she gave birth to a 7lb baby girl. We haven't given her a Chinese name yet, but Suki has named her Vianna." Congrats to Suki Tsui and Kenny Wong!! The baby girl is quite cute and she does look like Suki. Jess Sum and Koni Lui became the baby's Godmother. When father Kenny Wong first saw Vianna open her eyes, he was so moved and bought tears in his eyes. Congratulations to Suki and Kenny!! I would like to wish all of March Babies a very Happy Birthday! Wish you all great health and prosperity. Below are the TVB babies born in March. I wish all of them have/had a great birthday and hope all their wishes will come true/came true. Happy Birthday!! Wish you all good health, luck, prosperity and lots of series to film. I do not know most of these people, but I do know Edwin Siu..lols. Hey everyone! I'm sorry for falling behind and Replying to your tags late. 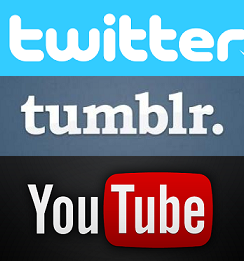 I'm deeply sorry, but I've been busy lately. I was studying and preparing myself for the huge test. Its called the S.A.T (I forgot what its stands for). It's my second to last year in High School, I'll be going to college in two years. In the 11th grade you'll need to take this huge exam to get into college. [College entrance exam] I'm sure that you all will have or already taken this kind of test too. (I believe that it has a different name in all different countries. In U.S we call it the SAT) Well, I just took the test on the 13th of March, and I don't want to say anything cause I do not want to jinx it. But I still have that nervous feeling after I took the test, I guess I was still freaking out and stress out after taking it. During the test I wasn't calm at all, I have to repeat to myself, to stay calm. I was so nervous, but I told myself to stay calm and I thought of something. Encouragement from a friend =] It did help me to stay calm. I really need to thanks Jessica from My Only Myolie Network. Thank You for your Encouragement and Support!! You are one really Good Friend =] thanks!! Divorced LUI SIU FUNG (Liza Wang) is the CEO's secretary of a mall management company and is the head of the company's secretaries. She has been working hard for many years in the company, deeply gaining the trust of the CEO SO DAI TUNG (Cheung Kwok Keung). SO is weak and afraid of dealing with situations, therefore behind the scenes its Fung who takes care of all the big business and issues happening around the company. The office is Fung's strongest area, she is the Queen of the Office, everyone in the company is afraid of her! The Publicity Department will soon have a new manager, during the recruitment process Fung encounters single father SI SAP YAT (Chapman To) who she did not see as a secretary for a variety of reasons, but in the end he was appointed as one. One man in the secretary world led dominated by will eventually lead to a series of storms. Turns out that the new manager is no other than Fung's long lost daughter MIU SIK CHI (Denise Ho)! Sik and Fung were separated for several years, the mother and daughter were originally very happy together, but Sik is very cold towards Fung. Sik's position is even higher than Fung in the office and was not adapted to the rules set by Fung. She was also not satisfied with how Fung treated her father in the past. In the office, the relationship between the two were full of storms, troubles and hatred. Fung and her neighors knew each other for many years, but even after work Fung thinks of herself as a Queen. Fung is longing to learn more about her daughter Sik, but wanted to save face so she asked Sik's childhood nerdy friend LING SIU KEI (Ron Ng) who is a fan of busses to help be the mother and daughter's bridge. Kei lacked a mother since youth, while Fung who watched his growth is like a mother to him. When Sik and Fung met again, she recommended him to work in Fung's company becoming colleagues. After a while of working together, Kei unconsciously fell in love with Sik who only thought of him as a brother. 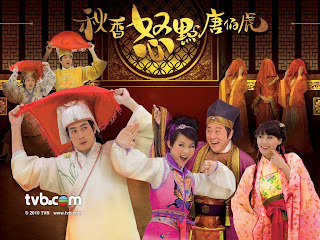 Cast: Moses Chan, Myolie Wu, Ha Yu, Wayne Lai, Fala Chen, Elanie Yiu, Lai Lok Yi, Joel Chan, Evergreen Mak, Mary Hon, etc. In search of the last model for his painting "Nine Pretty Women", acclaimed scholar TONG PAK FU (Moses Chan) goes on a trip to Hangzhou with his ardent disciple WAT KEI (Lee Sze Chit). While there, he meets a pretty young maid from WAH's Residence, CHAU HEUNG (Myolie Wu). FU is mesmerized by HEUNG's beauty and martial agility and falls in love with her right away. In order to approach the girl, he disguises as a servant and assumes the pseudonym WAH ON, seeking to win her affections with his talent and ingenuity. But contrary to his wishes, HEUNG is unmoved and even harbours an intense dislike for him after a series of misunderstandings. Master of the family WAH HUNG SHAN (Ha Yu) knew from the very beginning that FU is not a common man. By the time his true identity is revealed, the scholar has already developed a close bond with the whole of the family, except HEUNG. In the meantime, Prince LING (Tsang Wai Kuen), who has been attempting to rebel against Emperor CHING TAK (Lai Lok Yi), has managed to involve FU in his conspiracy by stratagem, thus getting the man and the WAHs into big trouble. LING's daughter CHU TING YUK (Fala Chen) is in love with FU. Desperate to save her dream man, she forces LING to release FU by threatening to kill herself. YUK's consuming passion for FU seems to have caused a ripple of unease in HEUNG, who is starting to feel a little twinge of jealousy inside. Thoughts: The trailers seems interesting, I'll give it a chance. 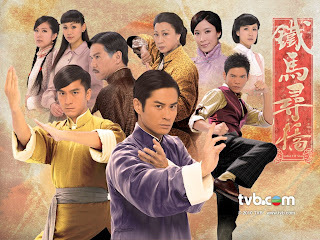 Cast: Kevin Cheng, Kenneth Ma, Yuen Qiu, Jacky Heung, Selena Li, Shirley Yeung, Natalie Tong, Tavia Yeung, Dominic Lam, Nancy Wu, etc. AU YEUNG WAI-LAN (Yuen Qiu), owner of a martial arts training school, is reunited with her long-lost son KOO YU-CHEUNG (Kevin Cheng) after years of agonizing separation. On his return home, CHEUNG is shocked to find that his younger brother KOO YU-TONG (Ma Kwok Ming) has been critically ill and that his father was murdered long ago by WING TAK (Lam Ka Wah), the existing director of a pharmaceutical company and a bitter old foe of the KOOs. CHEUNG has never been into kung-fu but shows glimpses of his potential when he strikes back at the impudent, arrogant WING MAN-KWAN (Jacky Heung), also the son of TAK. Pinning all her hopes on CHEUNG, LAN not only teaches him a special set of kung-fu skills created by the family, but also registers for him for the Guangdong Boxing Championship Tournament. Out of the blue, CHEUNG's opponent in the final turns out to be KWAN. CHEUNG starts losing his bearings after achieving growing success and recognition in the field of martial arts. Caught up in the love triangle between LAN's apprentice YING NGAN-MING (Natalie Tong), his dream girl CHOW MUI-MUI (Nancy Wu) and himself, CHEUNG is utterly confused and exhausted, which later causes his failure in the final tournament.